From what I can tell, it feels like Emily Blunt is, much like the famous character of Mary Poppins she’ll soon be seen playing on the big screen, practically perfect in every way. OK, yes, I know she’s a human who likely has flaws, but after watching her appear equal parts tough, whip-smart, warm, wry and engaging in a multitude of roles and in interviews for the last 10-plus years (since she appeared in the hit film The Devil Wears Prada), I’m having a tough time finding the flaws. And while I don’t actively go looking for the flaws in someone’s personality, what I do like to look for in my spare time, especially when it concerns an actor I’m low-key besotted with (that means you, Blunt! ), is little-known facts or anecdotes so I can get a better sense of what that actor is like off-screen. So, on the occasion of Blunt’s 35th birthday, I thought it might be fun to take a look at some of what I found. Here are my favorite tidbits. Her Devil Wears Prada costar, the illustrious Stanley Tucci, is now Blunt’s brother-in-law. Tucci married Blunt’s sister, Felicity, in 2012. The pair reportedly met in 2010 at Blunt’s wedding to actor John Krasinski, and the rest is history. Blunt took up acting at the suggestion of a grade-school teacher who believed it might have a therapeutic effect on her stutter, which seemed to dominate her life when she was younger. Blunt tried numerous different strategies to smooth out her speech, from visualization techniques to relaxation therapy, but it seems acting was the key all along. Blunt dated singer Michael Bublé from 2005 to 2008. During that time, Bublé actually wrote a song about Blunt called “Everything.” Blunt also lent her vocals to the song “Me and Mrs. Jones” on his album Call Me Irresponsible. Blunt’s vocal stylings have been heard in full in the film adaptation of the musical Into the Woods, and she’s also an accomplished cellist. She was actually able to show off her skills as a cellist in one of her earliest films, My Summer of Love. According to IMDb, Blunt was actually secured to play the role of Black Widow in Iron Man 2, but she dropped out in order to star in Gulliver’s Travels. As a result, the role went to Scarlett Johansson. Can you imagine Blunt being a part of MCU? According to a January 2018 Vanity Fair profile, Blunt met the Queen Mother (the mother of Queen Elizabeth II) when Blunt was a young girl because her grandfather was a high-ranking British military official. She accompanied her grandfather to a special event where the Queen Mother was in attendance. Blunt apparently brandished a very loved, very dirty stuffed animal at the Queen Mother (seemingly unaware of who this woman was), and the Queen Mother politely replied, “Oh yes, I see that he is very well loved.” Bless! Blunt mentions in that same VF profile that her dream job, if acting ever went kaput or she didn’t want to do it anymore, would be to flip houses. “It would be my dream just to flip houses. I adore renovating. I love working with different materials and coming up with a different story for each room. I am Pinterest-mad,” Blunt told the magazine. We you surprised about any of these facts and anecdotes? 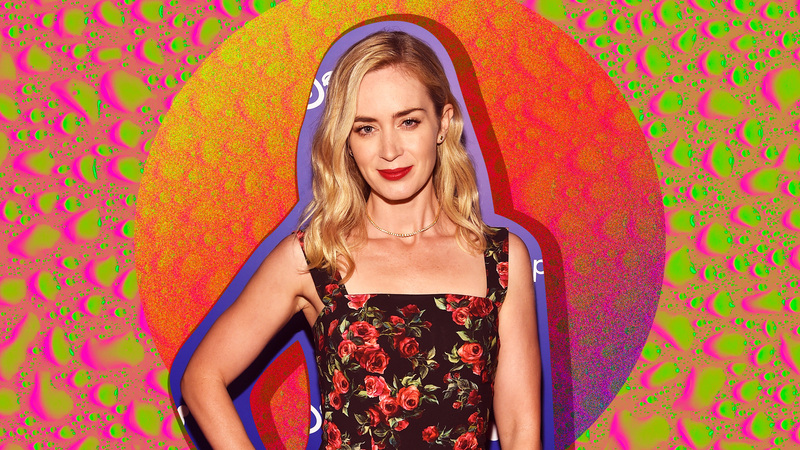 Do you have a new appreciation of Emily Blunt? If you’re anything like me, it’s likely a mixture of both — and that’s not a bad thing.